Spacious yet traditional living with convenience and charm! Meticulous owners have maintained a spotless home with amazing upgrades. From the moment you arrive home, you are greeted with warm, welcoming landscaping with mature trees and shrubs providing the perfect amount of shade and foliage. Bright updated paint extend throughout the open main living area. Brick fireplace in the two story family room with cathedral ceilings provides charm and warmth to your evenings and events. Bedrooms feature hardwoods and cozy wall to wall carpeting, with the master suite providing a spacious retreat. Each day will start off beautifully when you are getting ready in the updated attached bath. 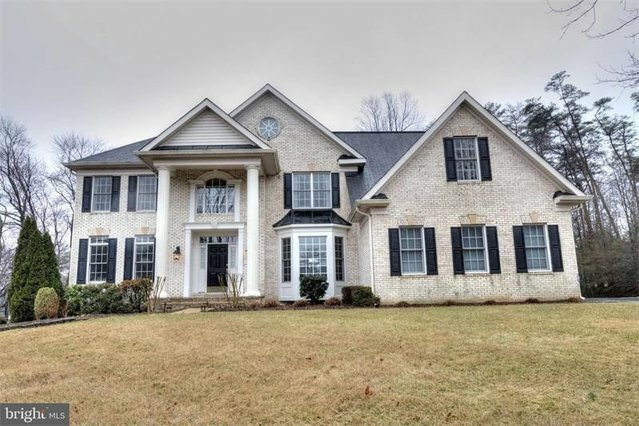 This home is conveniently located in the Olde Creek Elementary School, Frost Middle School & Woodson High School pyramid. This home has convenience and is all made possible because of the direct access to Braddock Road & 236 - leading to the parkway, I-495 & I-66! Feel pampered in your private, lush backyard & relax while enjoying your morning coffee or entertaining the night away with friends!